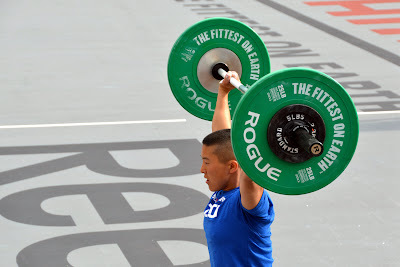 I couldn't wait for the final day of the Games to begin. 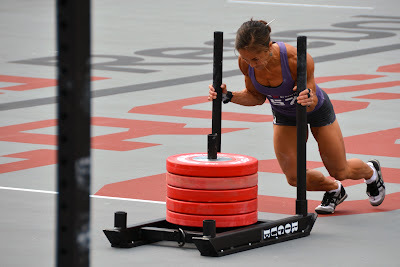 With the field whittled down to the top 24 men, 24 women and 6 teams -- and with FOUR EVENTS left for the individual competitors -- I knew the next few hours were going to be jam-packed with crazy WODs. The individual women were up first with quite the humdinger. 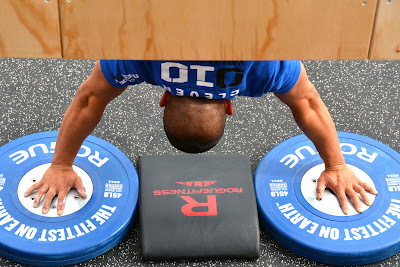 The athletes were clearly capable of banging out the double-unders, overhead squats and handstand push-ups, but the sled push was a big unknown. 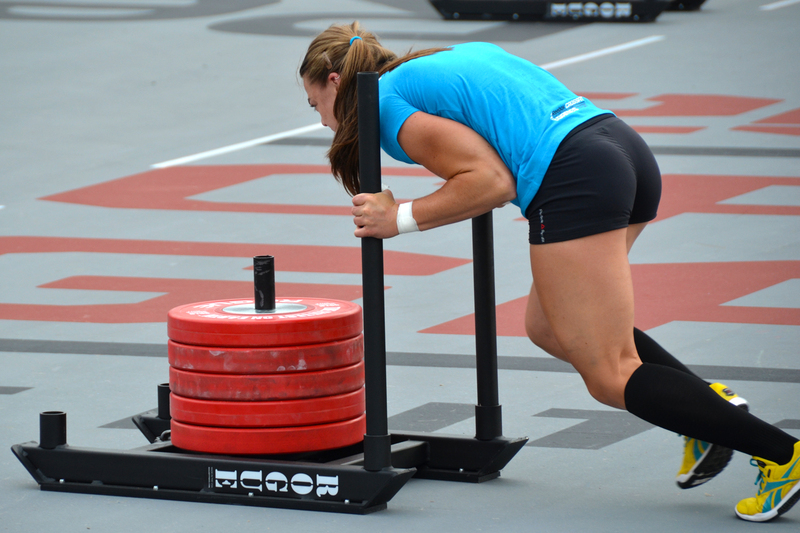 The design of the sled (by Rogue Fitness) looked new -- at the very least, I hadn't seen it before. 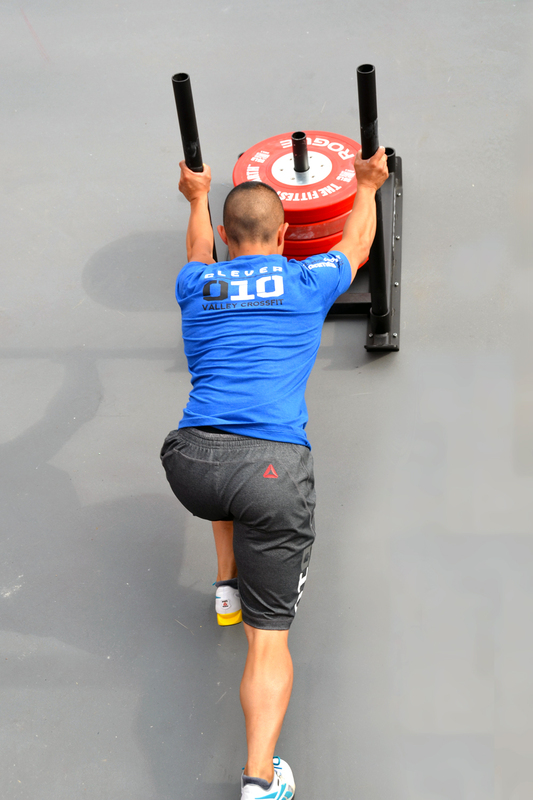 The sled push, it turns out, was brutal. 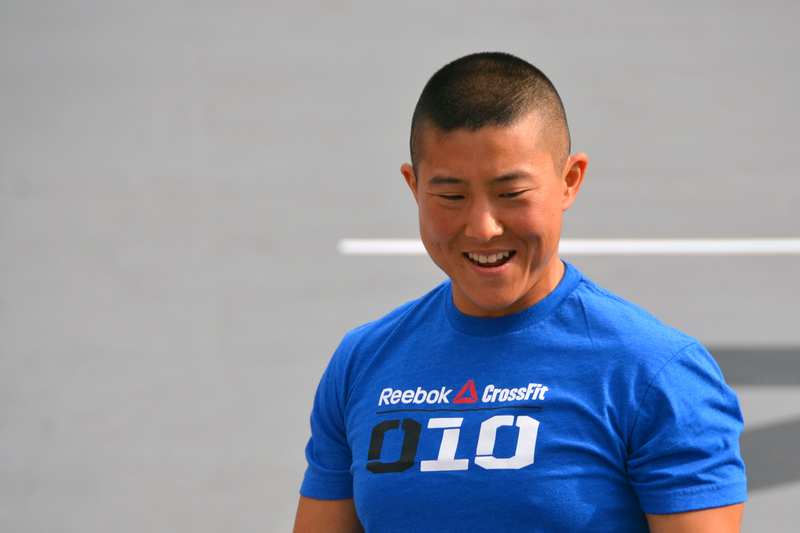 In the third heat, crowd favorite Annie Sakamoto got an early lead, but Camille Leblanc-Bazinet gradually caught up and took it away. Annie fought back, and these two incredible competitors ended in a photo-finish, tied with a time of 8:10. 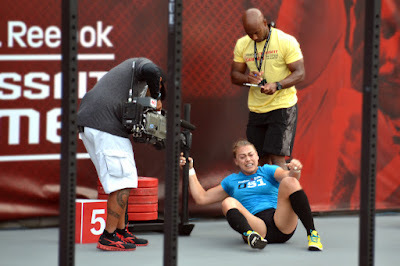 ...as did Kristan Clever, who smiled and joked with her judge. Early on, Clever surged ahead, looking strong. 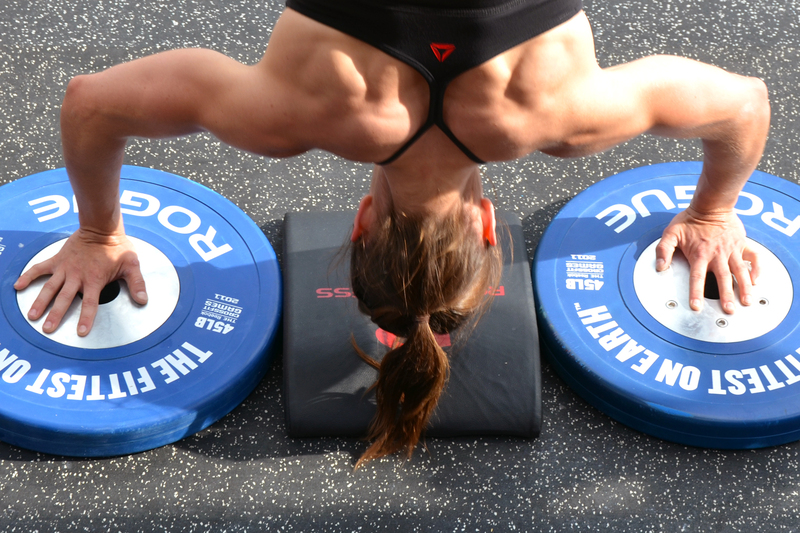 But as the athletes moved to the sled push, Thorisdottir and Julie Foucher took the one and two positions, and never looked back. 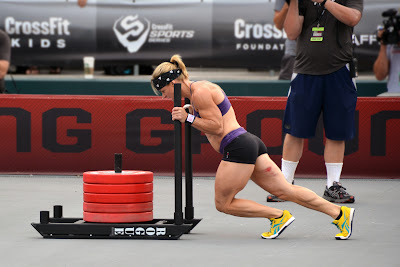 Tipping the scales at all of 133 pounds, Clever had trouble pushing a loaded sled more than twice her bodyweight. Despite the weight disadvantage, she still finished in less than 9 minutes. 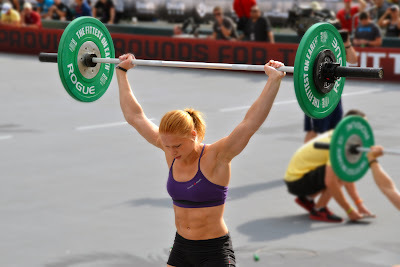 But Thorisdottir (7:01) and Foucher (7:08) absolutely crushed this event. It looked for a while like Foucher would win, but Thorisdottir rallied from behind and passed Foucher with just a few meters to go.